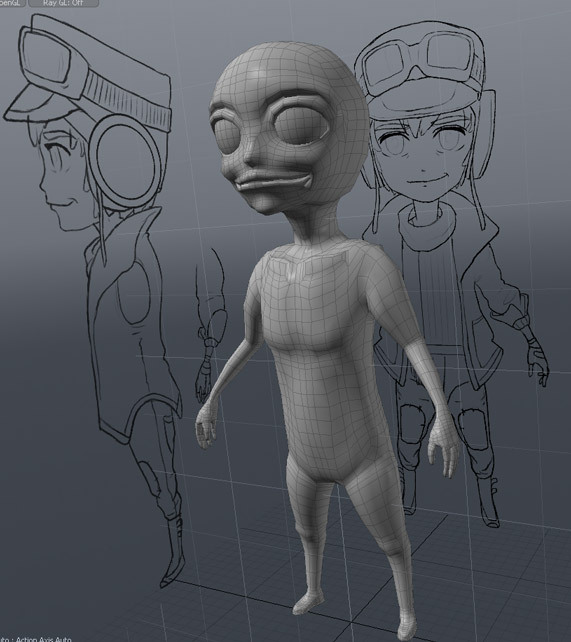 This is the current progress of a character I am modeling in modo. 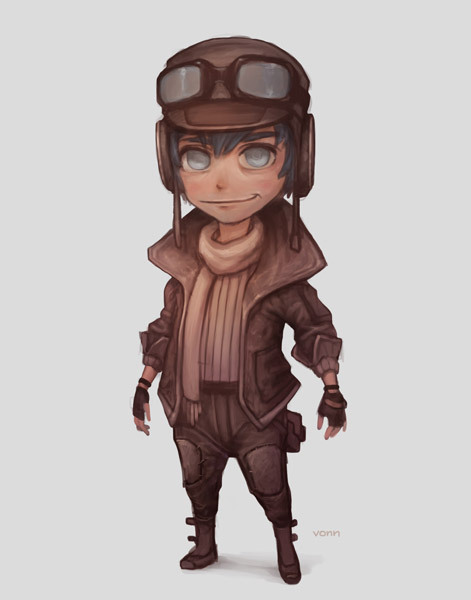 It is based on the chibi pilot concept by tim von rueden, from concept cookie. 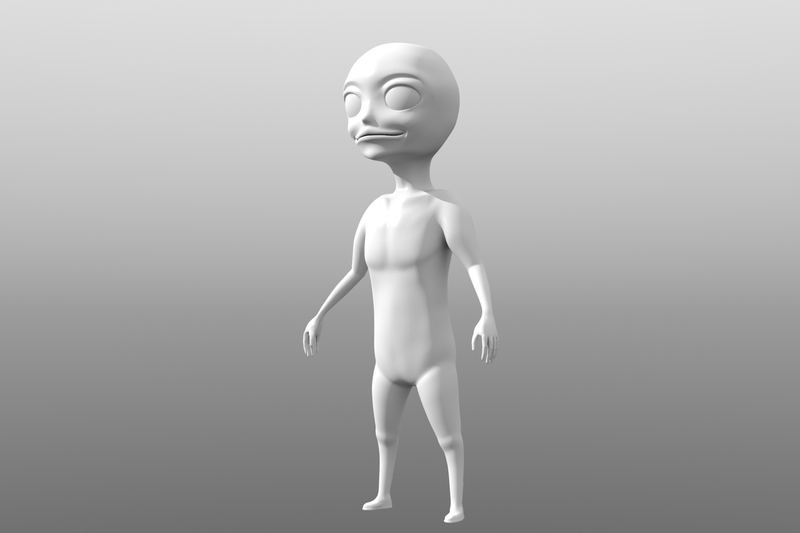 I decided to model the whole body for the hell of it which could be useful to reuse it as a base body for any other related projects. Its going to be a high poly model but I’m going to retopogize and bake in the high details over to a low poly mesh for learning purposes. One good thing i found with modo is how i could easily mold the mesh by using modo’s sculpting tools instead of depending on soft selection or manually moving each vertices every time. Considering the base body is done for now, time to move onto the cloths and accessories.